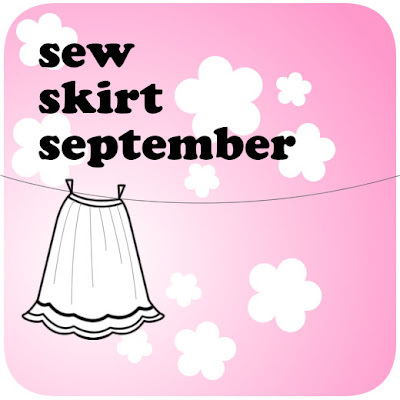 Adithis Amma Sews - Cute Confessions of a Sew Addict: The Versatile Blogger Award ! Thank you Dear Ricochet, I am truly honored to be bestowed this award! I found your lovely blog through a linky party where you had linked up Reverse Applique technique and have fallen in love with your blog ever since! Have also joined your Retro Pillow Challenge and have invited my readers to do so as well ! This award was a pleasant surprise. 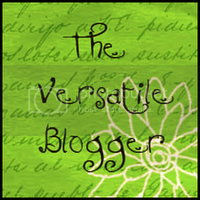 My First award was also a Versatile Blogger award given to me by Magnanimous Magda of MagdaMagdaDesignStudio! Favorite smell - scent of land after rain! One thing i like the most in me - straightforwardness! One thing i would like to change in me - Being reserved! i would love to be more confident and socialize more! Gadget Love - All Sewing Gadgets! I dream to have a Dressform soon! Love my blog - and all of you dear readers! Thanks for being here and making my day (s)! Thanks! I hope this award brings a smile to all the 15 nominees as it did for me when Riochet bestowed it on me! hehe congrats again! To you and the 15 you made feel lucky today:)I also love the scent of land after rain! Thank You dear its an honor! congrats! and thanks for the award, i promise to do a proper post soon! Thanks GAFA, Magda,Glam Chameleon, Sonia, Tanvi, Type A.
I am looking forward to the nominess of my nominees as i will get to know more of talented bloggers out there! Congratulations to you and Thank you for the Honor, I have kept mine award free but I really appreciate the gesture, I really do. Thank you for visiting me and hope to see you again. Thanks Nayana! I completely understand your stand on this. No issues! 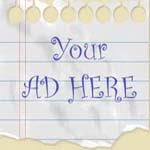 Oh yeah i will keep visiting your blog for those lovely snaps you share on your blog and also for loads of inspiration! Thanks Kalyani. I understand your stand of not receiving awards, so no issues! Thank you for the honour and congrats to you!!! This award is an inspiration for me to do blogging often.I'm late in thanking you but better late than never. Thanks SV. Looking forward to your new posts.